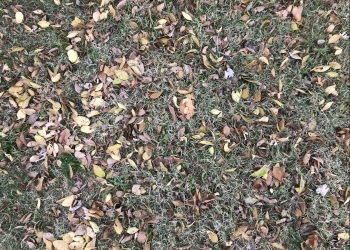 The next free leaf collection for the City of Bartlesville will be held next week. Starting Monday, Nov. 12 and ending Friday, Nov. 16, residents may place their leaves curbside in bags on their normal trash collection day and they will be collected by Solid Waste crews. City Manager Mike Bailey says the free leaf collection is for private residence only. Leaf bags will not require waste stickers during the free leaf collection. Clear or colored bags are allowed. Also, collections are for leaves and grass only. Leaves and grass will only be collected once, on your normal collection day of the week. There is no limit on the number of bags you can put out for the collection. Extra bags or items of household refuse outside the cart must have the Red Refuse sticker attached. Residents should comply with all other standard refuse regulations. The free collection will be offered again the week of December 17th through the 21st. For more information, contact the Solid Waste Department at 918.338.4130.